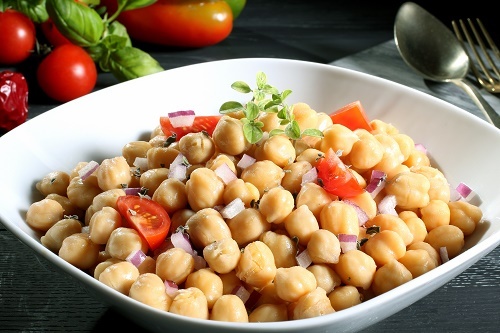 Soak chickpeas overnight and boil for an hour. Mix them with garbanzo beans, chopped red onion, tomato and parsley. Mix with a dressing of olive oil, lemon juice, salt, pepper and garlic. Chill overnight and serve. Fresh salads that you make yourself at home tend to be far better than anything you can get at the average salad bar. Not only do homemade salads tend to be fresher, you get to make them exactly as you like them. What are your favorite summer salads? Feel free to share your recipes with us in the comments section.